In the center of Fish Creek, a historical building has stood proudly for 142 years, but it has also been home to disquieting spirits. The Alexander Noble House was built in 1875 by Alexander Noble, replacing the family home that was destroyed by fire a year earlier. Before that, Noble’s wife Emily died, besetting the family in sadness. 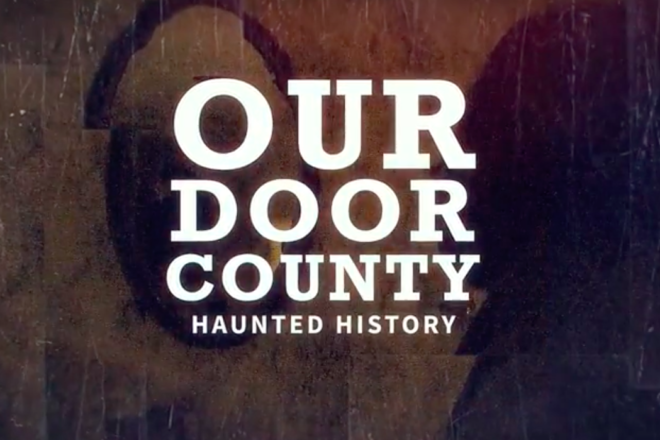 The latest episode of Our Door County takes you inside the Noble House to tell the story of the spirit that haunts docents and visitors to this day. In Haunted Door, you’ll meet the Nobles, and find out why so many locals swear that Emily’s ghost continues to make her presence felt on the corner of Main Street and Highway 42 in Fish Creek. Tour the Noble House yourself to see if you get a ghostly feeling as well.